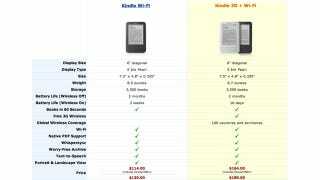 Yesterday, the Amazon Kindle's battery life was listed at a respectable one month. Today—a day after the Nook Simple Touch Reader claimed a two-month battery life—Kindle experienced a sudden leap in longevity. Keeping up with the Barneses, eh? And if you use it for fifteen minutes a day you'll get three months, etc.